Urethane Modified Water-borne Acrylic Concrete Sealer. Can be used for all types of concrete surfaces. 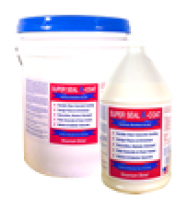 Enhances Concrete Surfaces. Darkens and leaves a satin gloss.